People rarely buy what you think your business is selling. Customers don’t buy your business’s product or service. Customers buy the promises, the hopes, or the satisfaction that they believe your product will deliver. People may choose to buy from your business over another simply because you make them feel better when they walk through your door. 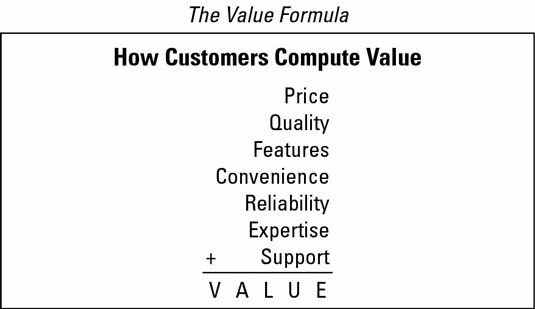 Don’t fool yourself into thinking that you can win your competitor’s customers simply by matching features or price. Price: What does it cost? Quality: How well-made is your product, or how professional is your service? Features: What features are included? Expertise: Can they trust your expertise? Support: How is the product or service supported, and what guarantee, promise, or ongoing relationship can they count on?